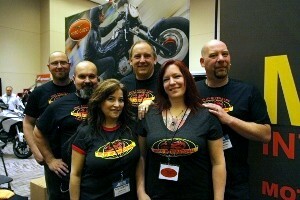 A decade ago we had a single motorcycle show in the Pacific Northwest. Today we have five major events happening this coming winter. Here’s a brief look at what’s going on in the Northwest. Most enthusiasts won't make it to all five, so here’s our guide to help in deciding which ones to attend. 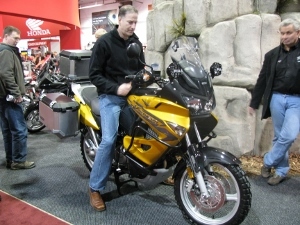 Photo: Checking out Honda's Varadero at the Vancouver BC Motorcycle Show. The bike, manufactured in Spain at the Montesa Honda factory, has yet to make it into the US market. When several local businesses got word that the International Motorcycle Show was moving to February, they got together to put together an event to fill the void in December. Seattle Cycle Center, Sound RIDER!, Rich’s Custom Seats, SIK Werks paint shop and manufacturer reps for more than 25 lines of gear will be on hand for this one-day-only event. Need a place to drop your holiday cash? The event will feature a number of event specials. This will be the only major event between now and the first of the year. For those of us living south of the border, this is always an adventure. Whether you choose to go on your bike, or take the cage, the Vancouver Motorcycle Show is a twist on what we know in the States. Often you’ll see new models not yet revealed here (some that are not even scheduled for US release). Beyond that there’s lots to learn about where to ride in Canada at this show and the clubs pull together to put on some nice displays. Previously this show was always held in December, but due to scheduling issues it’s been moved to February. Grab a few buddies and your valentine and come on down. As always there are copious display of bikes, numerous vendors and expect to see the entire 2014 lineup from each manufacturer. The show's promoter, Advanstar, kicks in a little something for everyone, even the kids. And remember, this is the only place you can experience the Northwest Motorcycle Display, a collection of 40 unique bikes from around the Northwest. 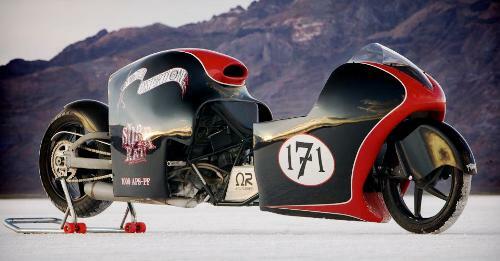 Photo: One of several Salt Flats racers shown in the Northwest Motorcycle Display at the Seattle show over the years. Think World's Fastest Indian 21st Century. This one is actually a Buell. Click here to show your bike at this event. Now in its third year, the Euro Moto show features the best of what the EU has to offer with all the major manufacturers represented as well as vendors who create unique add-on parts for those brands and their models. Traffic is less than larger shows which makes it nice to look over all the bikes and gear without feeling like you’re in a stadium complex. Historically the event always unveils a new model or two. Photo: The Moto International staff represents the Moto Guzzi and Aprilia lines at the Euro Moto show. For all riders east of the Cascades, this is their show, but all are welcome. Well supported by the local dealers and business, the show gets bigger each year and vendor space always sells out several months in advance. Above: One of the many customs that has been displayed at the Spokane Motorcycle Show in recent years.